If neither one of you has lived in Arizona for the past 90 days, you will not be able to use this form. Most couples do NOT have a covenant marriage. If you aren't sure, click here. If you aren't sure if your child is considered a minor, click here. Consent Legal Separation includes: Family Court/Sensitive Data Cover Sheet, Petition for Legal Separation, Summons, Preliminary Injunction, Notice Re: Creditors, Acceptance of Service, and Consent Decree of Legal Separation. With Children option also includes: Affidavit Re: Minor Children, Parent Information Program Order & Notice, Parenting Plan, Child Support Worksheet, and Child Support Order. By submitting this form and placing my order, I understand and agree the above total does not include filing fees required by the Clerk of the Court. You can find current Court filing fees at: Maricopa County Clerk of the Court. 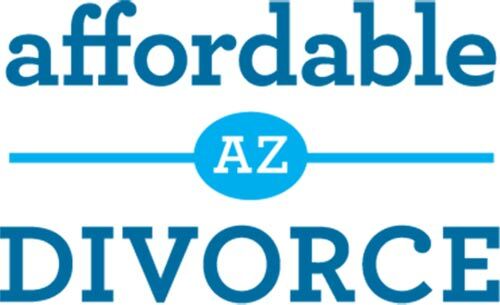 By submitting this form and placing my order, I understand and agree Affordable Arizona Divorce, LLC is not a law firm, does not employ attorneys, is not a substitute for an attorney, and cannot provide me with legal advice, legal opinions, promises or guarantees regarding the outcome of my case. 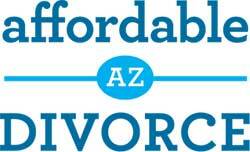 Both Jessica Worley and Affordable Arizona Divorce, LLC are certified by the Arizona Supreme Court as legal document preparers. Read This Before Clicking Submit! When you click "Submit" you will be taken to a secure PayPal payment page. If you don't have a PayPal account, simply select the "Pay with a debit or credit card" option or give us a call at (602) 283-3800 and we can process your payment over the phone. We complete your documents in 48 business hours!